But only for the next few days. In November, Twitch Prime offered up Watch Dogs 2 goodies and two free games as membership bonuses, and in a similar vein, its first bonus for December is a gratis game: the first season of Telltale's The Walking Dead. Available until December 13, TWD can be had for nowt by following the instructions on this page, which seems to suggest that you can grab it just by signing up for a free Twitch Prime trial. This is only the first freebie from Twitch this month—in the previous link they promise more stuff throughout December. 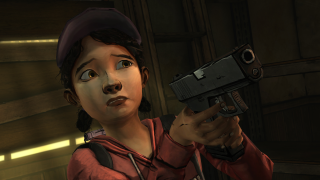 In more current Walking Dead news, the third season of Telltale's episodic adventure series is set to begin shortly, kicking off with two chapters instead of one.